Kate is a personal stylist for women and men in Brisbane, the Gold Coast and Sunshine Coast. 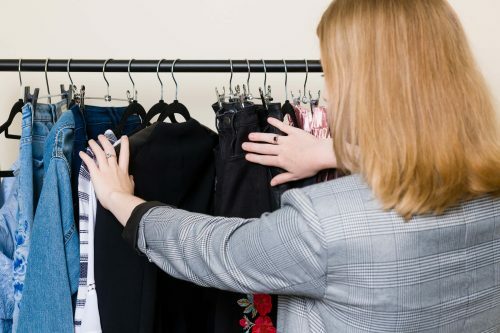 She works with her clients to tailor their wardrobe and refine their style to suit their life and ensure they feel and look fantastic every day. Because we are all different, our styles should reflect our uniqueness. Kate aims to connect each outfit with the owner in a way that each piece, in hindsight, is an obvious fit for the individual; as though they’re long-lost kindred spirits, finding their way back together to form a seamless fusion of wearer and garment. As a 9 to 5 worker in accounting, sitting at a desk with little variety day-to-day, the work-week was far from exciting. So much so, that her favourite part of each day was putting together her outfit of a morning. Planning which colours and pieces work with what, and making new combinations out of existing garments allowed Kate to express her personality, and flex her creativity in a way her job could not. 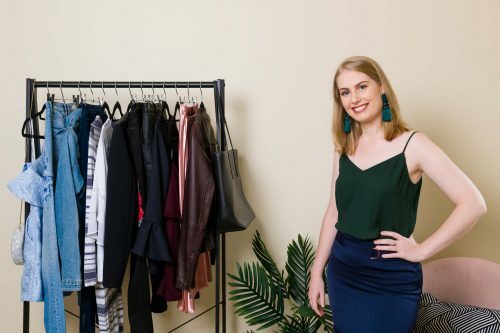 Now starting out as a professional stylist, Kate is able to use the knowledge and skills picked up from her studies at Australian Style Institute, the experiences of styling fellow students and volunteers, and being on the other side of the stylist-client relationship. It is important to get to know each client, as our outfits have to reflect who we are, in order to ensure that we are truly comfortable in them. Get in touch with Kate. "The whole experience was fantastic, a great learning experience and great feeling at the end of the day to be returning home with a new skirt and many other classic pieces with the knowledge of how to 'mix n match' and how to shop in future. I also visited new shops that I had not previously discovered. Kate's previous research and shopping list made it a smooth, efficient, stress-free process." 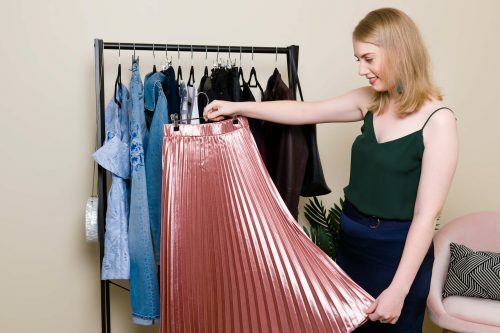 "I would recommend this experience to anybody who wants to get the most out of their wardrobe, be up to date with colour and style, know how your body shape affects what outfits you should wear to flatter your appearance and most of all feel good about yourself." "Kate’s relaxed approach made the experience very easy – and her advice on mixing and matching items was fantastic. I would have to say that the shopping trip was the BEST EVER shopping day I have experienced – and we came in under budget! With all items on the list sourced by Kate prior to our meeting, it was simply a case of moving from shop to shop with list in hand and trying on outfits." "The experience on a whole was refreshing, enjoyable and fulfilling. I would definitely recommend Kate to all my family and friends and anyone that asks about my ‘apparent new wardrobe’." "I had an awesome day of shopping, I certainly wouldn't have bought any of these awesome clothes had it not been for her direction and her kind unrushed support. Brilliant woman, brilliant style session! I would highly recommend Kate's styling services to anyone. I now have the confidence to shop well and I look forward with excitement to coordinating and wearing my outfits." Please fill out your details below and Kate will get back to you.